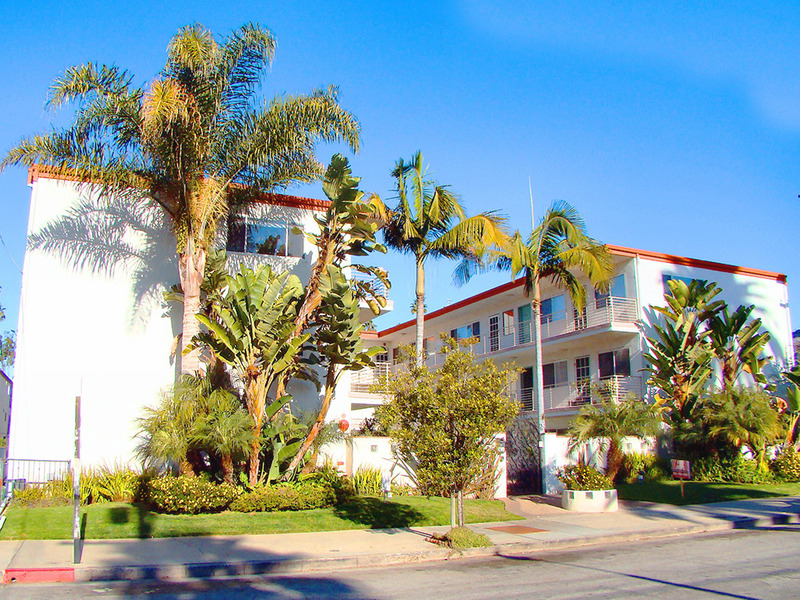 Looking at apartments for rent in Santa Monica, and dreaming of a condo near the beach? Welcome to 229 Bicknell Condominiums. Just half a block from Main Street, and a short walk from the beach, 229 Bicknell offers a prime location. Families will find John Muir Elementary, Santa Monica High School, and Olympic High School all within walking distance. Craving a cup of joe? Dogtown Coffee is right around the corner, as well as numerous dining options, like M Street Kitchen and Stella Barra Pizza. Build in 1963, these glamorous condos conjure visions of a simpler time, when life was filled with pool parties and carefree summers at the beach. Upgraded to match the advances and comforts of modern living, many of the units have been beautifully remodeled, and feature hardwood floors, granite and stone counters, and custom tile work. With 27 units across two floors, and floor plans ranging from 500 to 700 square feet, you’ll find a variety of 2-bedroom apartments to choose from. Wake to the scent of the ocean, and gaze from your window out at the sea in select units.